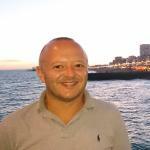 I was born in London and moved to Morocco when I was several months old and spent the first few years of my life there. 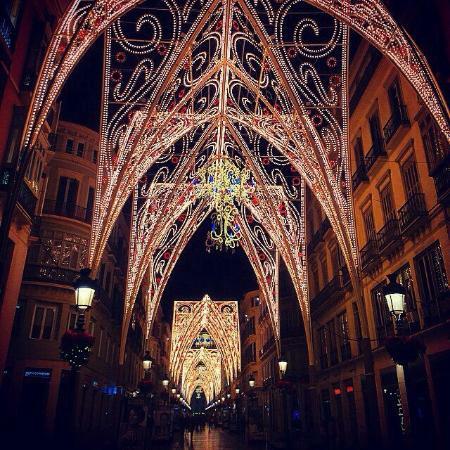 I have lived in France, Italy and spent a lot of time in Spain laterally Málaga in Andalucía almost a year prior to living in Edinburgh; where I have been living since 2000 and truly believe it's one of the most stunning, amazing cities to live in. I am a passionate traveller. I love exploring all parts of the world and enjoy walking round cities, trekking through mountains and have been to some weird and wonderful corners of the globe! My favourite and most visited destinations are Edinburgh, Glasgow, London, Rome Málaga and Seville. 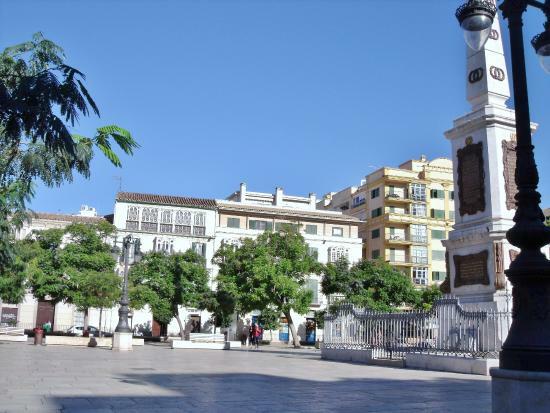 If you only have one day to explore Malaga, use this list to be sure you hit all the "must-see" sights. 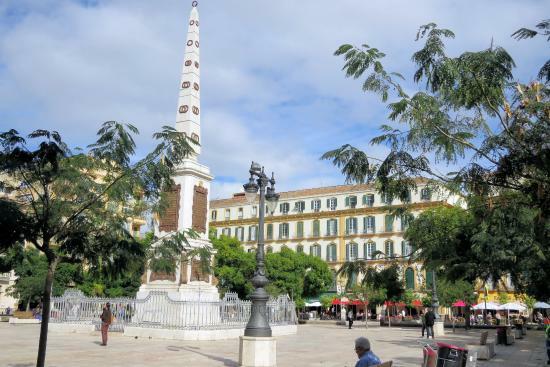 It's easy to get around central Malaga on foot, but those venturing farther afield should take a local bus (EMT). Pay for a single fare or buy a 10-trip pass in a tobacco shop. The MalagaCard is great value. 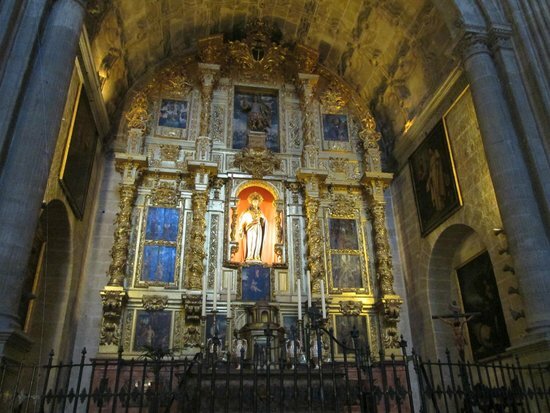 It offers you free entry to 10 museums and monuments, including Picasso's house, Malaga Cathedral and the beautiful Gibralfaro castle. 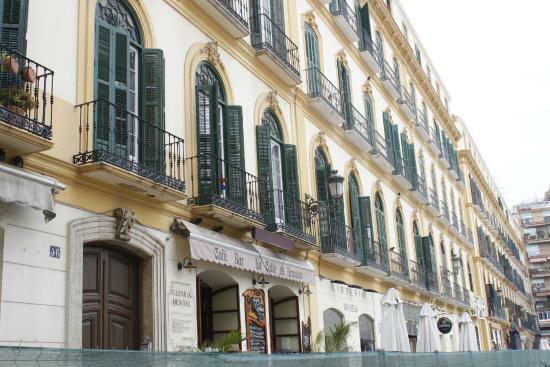 Malaga has many great bars and taperias. 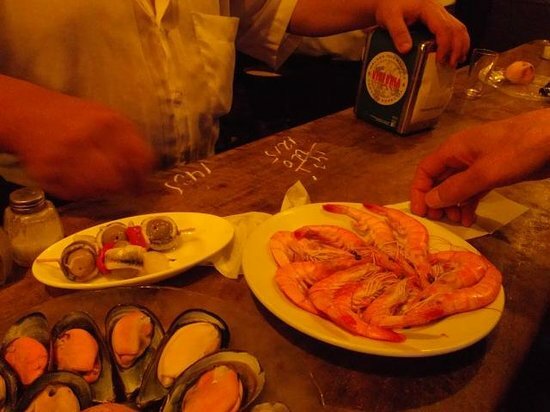 While it is not customary to tip at tapas bars, at fine dining restaurants you should leave around 10% of the bill. 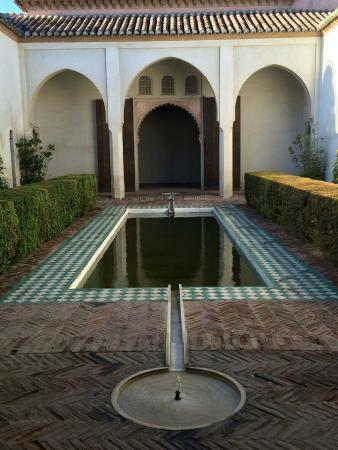 Spain's best-preserved Moorish fortress (Alcazaba means 'citadel'), the Alcazaba dates back to the 11th century, and served as a fortress and palace of the Moorish leaders in Malaga. 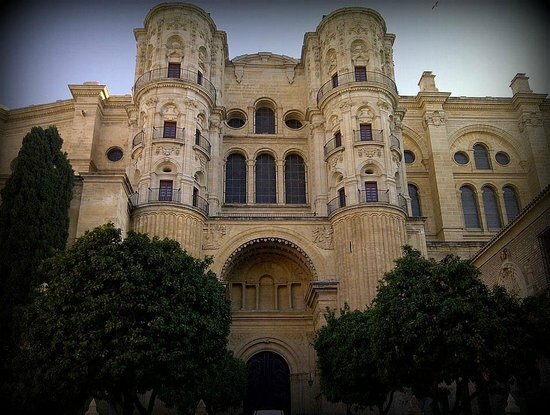 Today, it is one of the finest examples of Islamic architecture in the region, if not in the whole of Spain. The views from the top are breathtaking. If you'd rather not walk up the steep, winding paths, taking a taxi is an alternate option. If you decide to walk up, make sure you bring a bottle of water to stay hydrated. Water is available in the shop at the top, but it's expensive. Before visiting the Alcazaba, pay a visit to the Roman theater near the entrance — it's interesting to compare the Roman and Arab architecture. 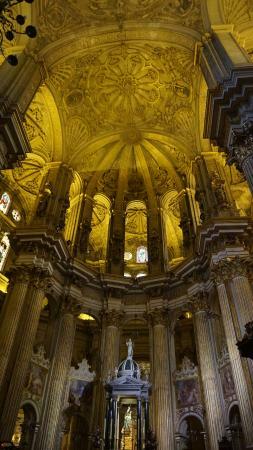 With its beautiful statutes and working organ, Malaga Cathedral is absolutely stunning inside and out. Each chapel features intricate carvings and detailed pillars, and there is so much going on that you're likely to find something new every time you visit. To enter without a fee, visit before 10am or attend a mass. It's also free all day on Sundays. I would not recommend using the restrooms here. 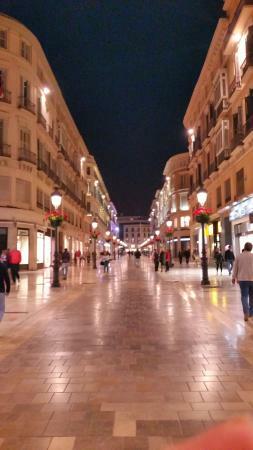 Marble-paved Calle Larios is grand, beautiful, and very popular for shopping. All the major Spanish high-street stores have outposts here, as do some typical Andalucian shops. The street is also full of cafes and restaurants, in addition to several very popular ice cream spots. Everyone should visit the famous Casa Aranda to try the "chocolate con churros" (a thick Spanish hot chocolate for dipping crispy fried pastries). 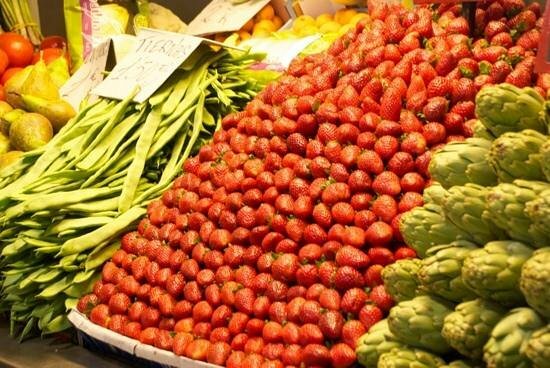 Bursting with colors, Mercado Central de Atarazanas is a fun place to browse whether you're shopping for foods or just poking around. 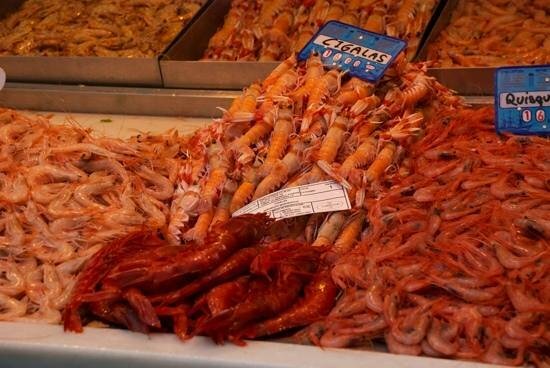 Here you'll find fresh local vegetables, cheeses, rolls of sausages, and all manner of seafood. The site is thought to have been used for trading as early as the 14th century, and the original 14th-century gate still stands. The building itself is a 19th-century structure, a soaring industrial space with massive stained-glass windows at either end. Most vendors do not accept cards, so be sure you have cash with you. 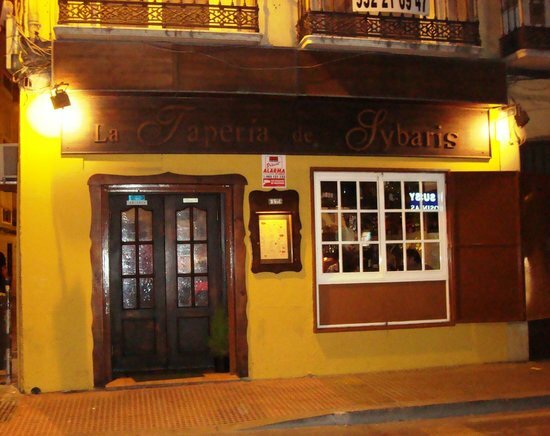 Bar Los Pueblos is an animated tapas place across the way. The old-school waiters shout a lot, and the food is wholesome, traditional Malagan fare. Try the croquetas! 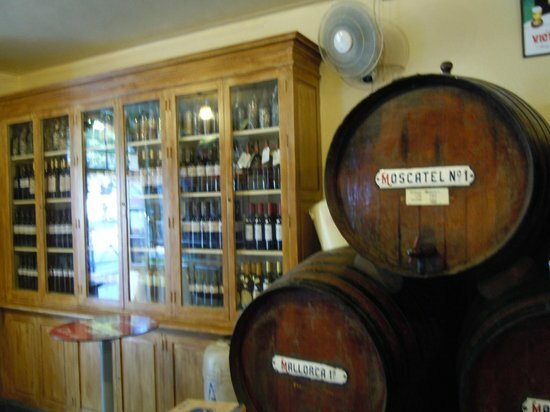 An absolute must, Atingua Casa de Guardia is a really special place for trying traditional wines from Malaga — all served straight from the cask. The interior makes you feel like you have stepped back in time, and even your bill is simply a chalkboard in front of you, with a tally of your drinks. The Pajarete is a particularly nice wine, and the Moscatel is also delicious. 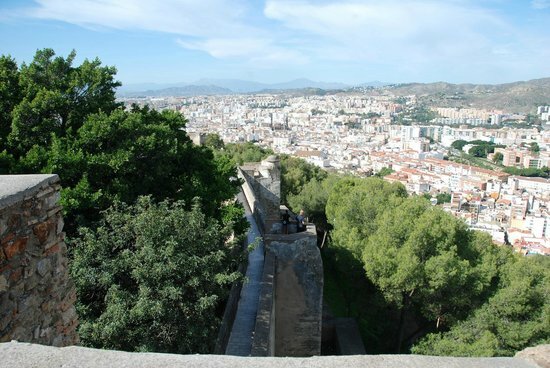 The walk up to Castillo de Gibralfaro is enjoyable, although it's quite a climb. 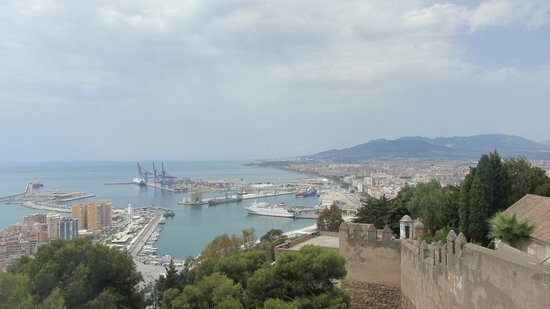 Once there, however, you are rewarded with stunning views over all of Malaga, including vistas onto the bull ring and the port. Upon entering the castle, you can walk along the walls and get a fantastic 360-degree panoramic. The museum is also interesting, and it's worth taking some time to look around. 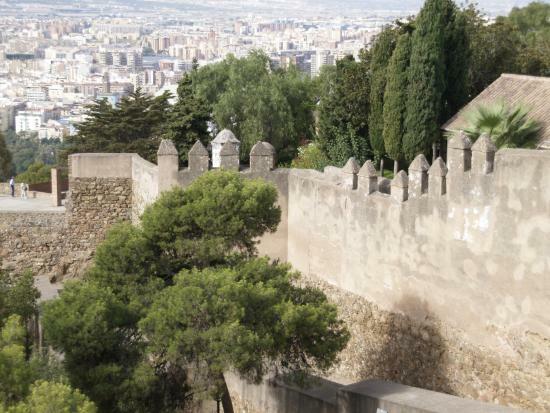 You can buy a discounted joint ticket for the Gibralfaro castle and the Alcazaba. As the climb to the top can be quite strenuous, it's advisable to take a bus (#35 from the Marina) or taxi up, and then walk down. For those wanting to stay a bit longer to enjoy the amazing views, the Parador Hotel (close to the entrance) has a terrace where you can relax over lunch or drinks. Make sure you take a bottle of water with you if you decide to walk up to the top, as there are no shops along the way. Entrance to the castle is free every Sunday after 2pm. 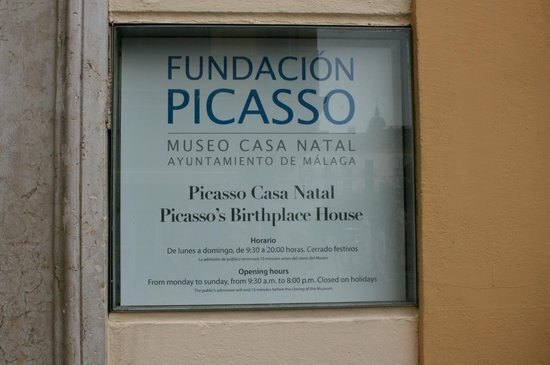 Located in the vibrant Plaza de la Merced, a short walk from the Alcazaba, the Picasso Foundation is known as the 'casa natal' (birthplace) of Picasso. The museum provides a fascinating look at the artist's origins, including how the family lived, and artwork by young Picasso as well as some by his father, who was a painter and art teacher himself. It is definitely worth taking the tour with the audio guide, as it gives you information about the painter and the different rooms in the house. The video is very interesting, but be aware that it's more than an hour long. 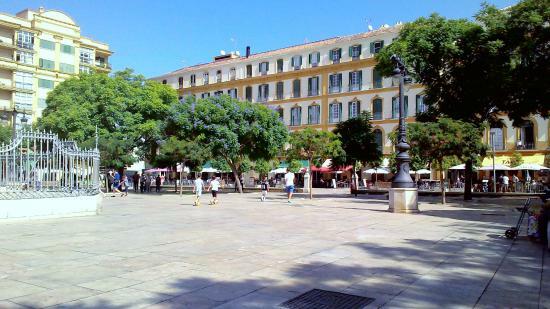 This vibrant square has everything, and often serves as a meeting point for starting out the evening. 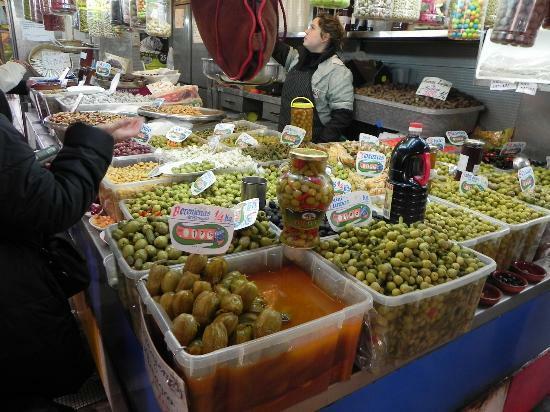 You can sit in Plaza de la Merced to enjoy some tapas and watch the world go by, or you might have your photo taken by the Picasso statue, or wander up the connecting side streets, where there are bars and restaurants with good, reasonably priced food. Occasionally, musicians and street performers bring in crowds. You may also see friends getting together in the evening to play guitar. 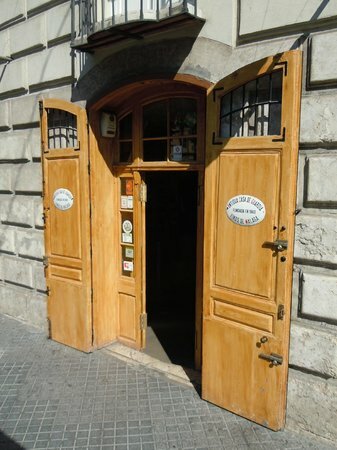 Bar La Calle de Bruselas is particularly good, as it's nearly always open. 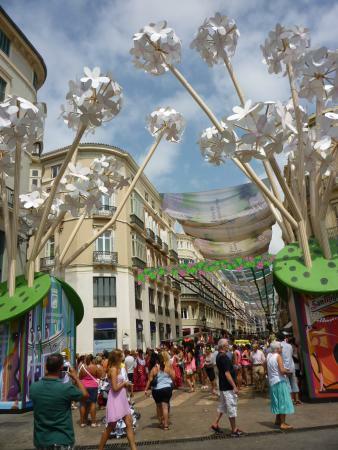 You can have breakfast, lunch, a snack, evening tapas, or drinks until 2am (3am on weekends). 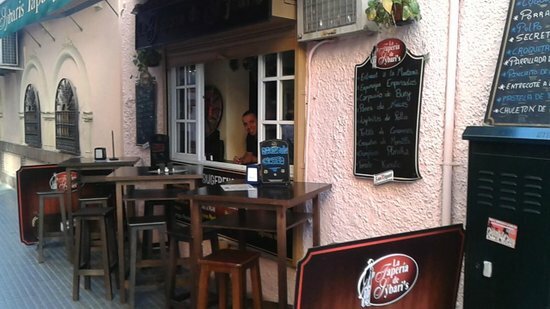 A few minutes' walk from the vibrant Plaza de la Merced, Tapería de Sybaris is a favorite among locals and tourists alike. Monolo, the owner, is very welcoming and clearly passionate about food, all of which is cooked to perfection. The house croquetas are always very tasty. For those with a sweet tooth, Manolo's homemade chocolate truffles are to die for, as is the leche frita (fried milk). 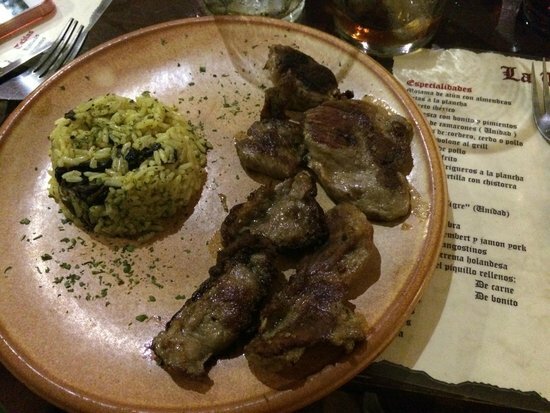 The char-grilled meats are especially delicious. 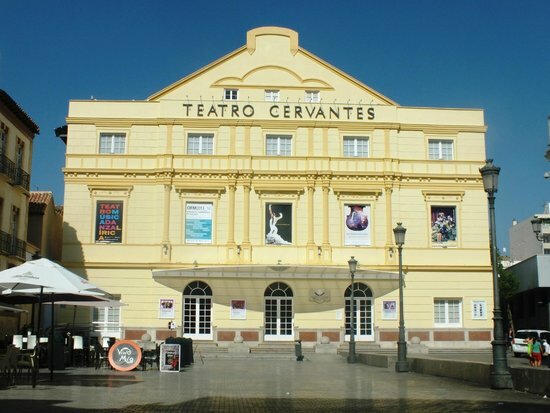 Entering the Teatro Cervantes is like going back 150 years in time. 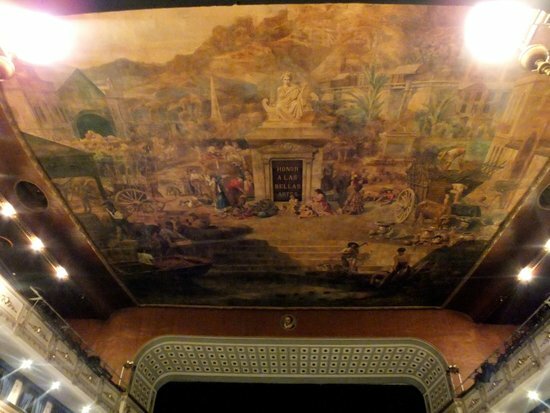 This theater, built in 1870, is beautifully designed, with four floors overlooking the stage. 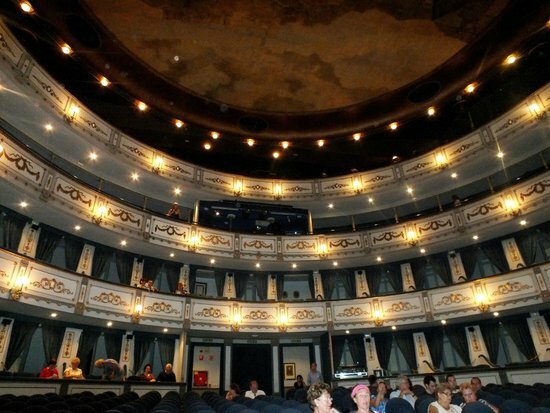 The venue still hosts an array of drama, music, and dance performances — Malaga's popular and talented philharmonic orchestra regularly performs here, and the theater attracts visiting acts from around the world.